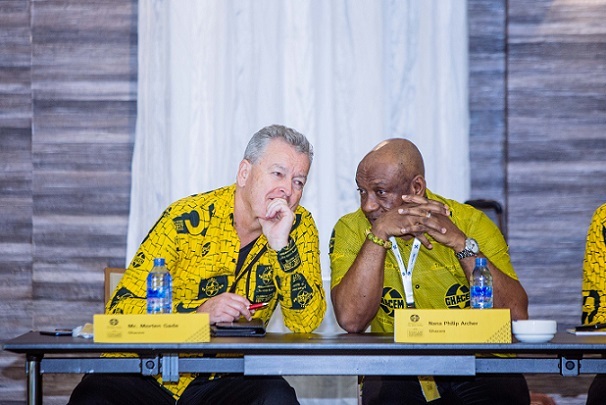 Ghacem, Ghana’s leading cement manufacturer, has organised a stakeholder conference aimed at assisting distributors grow their businesses while cementing their relationship and entrenching its leadership position in the market. Speaking at the Customer Partnership Conference held at Peduase Valley Resort in the Eastern Region under the theme “Growing You”, Commercial Director of Ghacem, Nana Philip Archer told the distributors that the cement industry is growing with many entrants, hence, the need to remain competitive through building strong partnership with them. According to Nana Archer, Ghacem has been in the business for 51 years now and it is not ready to relinquish its leadership position. “There may be strong competition in the country, but we will still stay focus and remain number one in the industry. 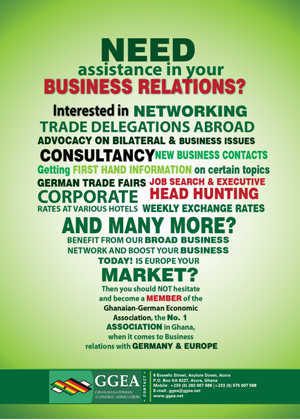 This can only be achieved through strong partnership with you.” he added. He said the market grew by 14% last year, which is an indication of hope for business growth, adding that Ghacem needs to remain competitive. He further explained that Ghacem is taking steps to help the distributors succeed as business entities. Nana Archer added that they are also compiling data on retailers and distributors to enable Ghacem transport products directly to shops that the distributors want them sent, to improve their operations. This he said has started in Kumasi, Sunyani and Techiman and will soon be extended to the rest of the country. Dr. Ishmael Yamson, a Board Member of Ghacem, through a skype call, said every business will survive or die depending on how it relates with its stakeholders. According to him, there are many competitors in the market, hence the partnership must be focused and stand against all those who would seek to disrupt the partnership. “We must fight together with the same strength, same determination, same energy, same commitment, and same passion to beat the competition. We must focus on the future that is sustainable and far ahead of competition and profitable for both parties” he told the distributors at the conference. Mr. Gade noted that trust must be built through “what you do and what you say” so they should build trust in everything they do, reiterating why Ghacem provides them with a better choice of different grades cement for different projects. The Managing Director further explained that Ghacem has a capacity of over 4.2million tonnes and the total consumption capacity in the country is about six million tonnes. He added that the second half of the year will be more competitive for industry players as new cement factories are expected to come on board adding up to the already overcapacity in the industry.